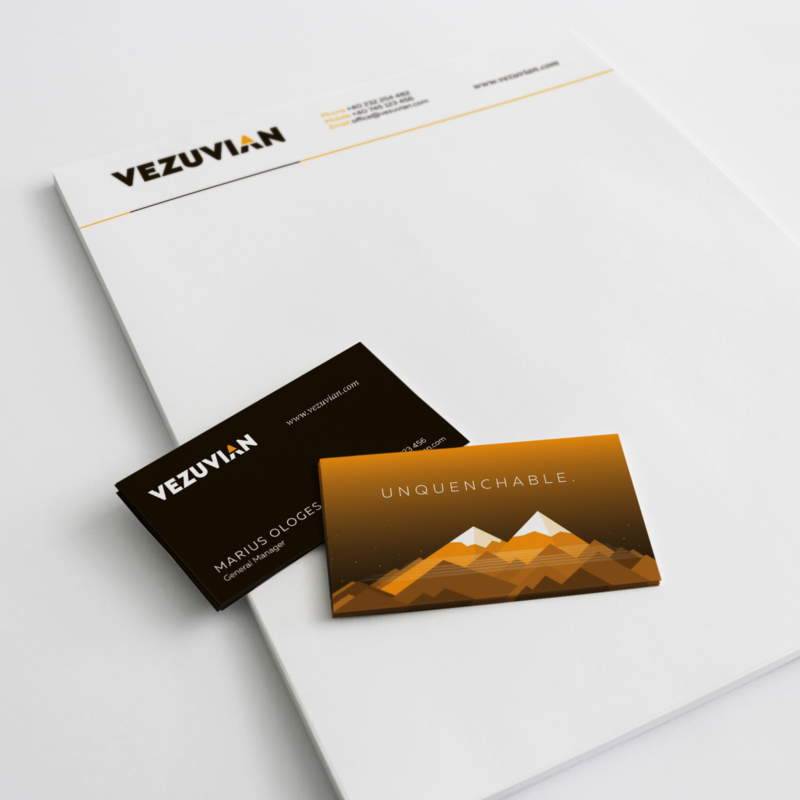 Catching up with our not so latest projects, we’re introducing you to Vezuvian, a brand we developed last year. Premium Software was the name before the name, and the goal was to position itself as a powerful employer on the local market, through a brand new image that would communicate what they’re all about. We quickly noticed that the most important aspect that was not emphasized at all was the fact that it’s a product company. 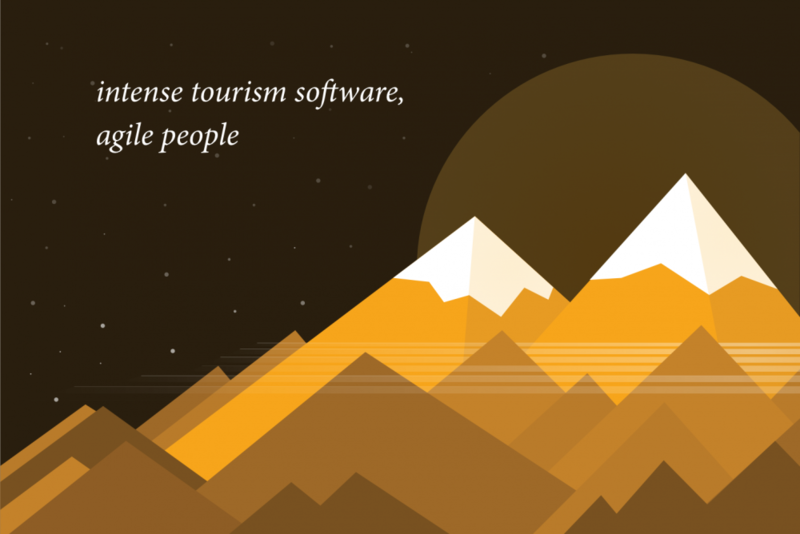 Meaning the whole team would develop a single product througout its life, in the tourism software field. 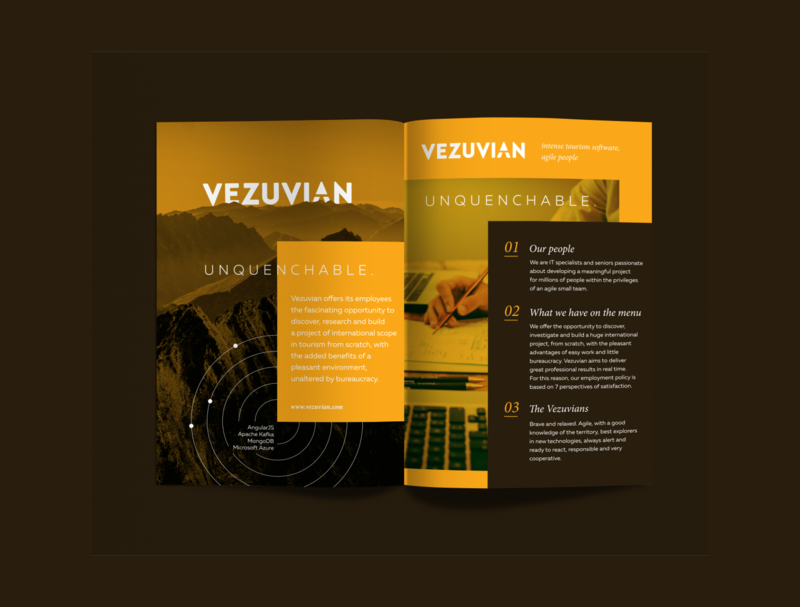 So we built the whole identity system for employer branding around the idea that Vezuvian is the place where passionate people develop a product that helps millions build memorable trips and vacations. And it’s also one of the top 3 largest wholesalers worldwide. We designed the new logo and an identity that is largely based on visual elements from travel and leisure, with a young and dynamic vibe to it, just like the future employees we wanted to target. We implemented that into all stationery, print, social media assets and signage for the new offices. 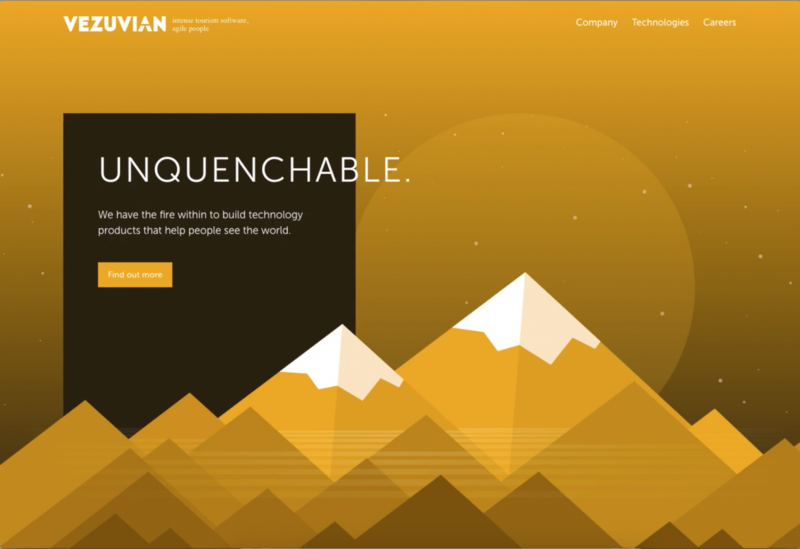 The new Vezuvian website is a breath of fresh air in the industry, leaving behind the cold, linear personality these types of websites usually employ. 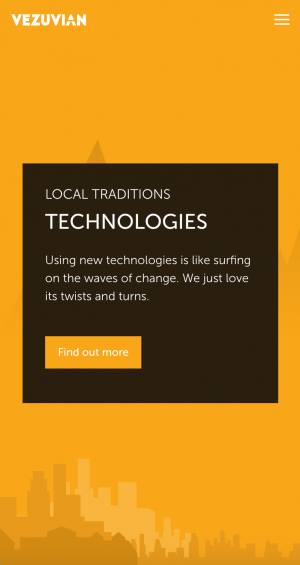 With powerful page transitions and friendly illustrations, the website succeeds in projecting the vibe of the company for those wishing to join the team. We know how important it is to be creative. That’s why we custom built this website from scratch. The homepage makes use of some parallax effects as you slide from one section to another or move the your mouse horizontally across the screen. The page to page transitions provide a rather unexpected behaviour and allow you to experience the loading of the pages smoothly and beautifully. WordPress, our weapon of choice in every challenge, helped us deliver a website beyond expectations, that is easy to understand and manage. 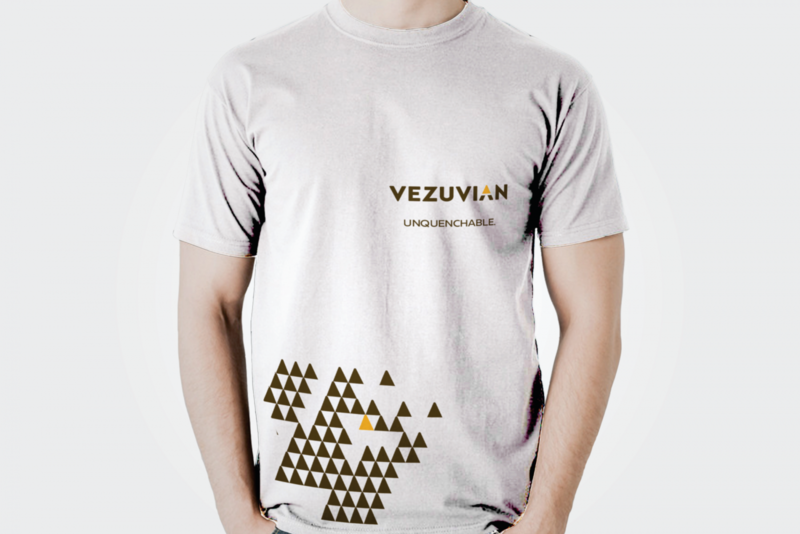 Vezuvian is a project we’re highly proud of due to the freedom we enjoyed in creating something completely different. If you like it as well, feel free to share it with others. We're looking for new team members.